TAL KROUM, Syria — The Russian military said Tuesday that its forces in Syria will help U.N. peacekeepers fully restore patrols along the frontier with the Israeli-occupied Golan Heights, reflecting Moscow’s deepening role in mediating between the decades-old foes. "The Russian flag is the guarantor of peace and security on that land," said Lt. Gen. Sergei Kuralenko, speaking to international reporters on a trip to the area organized by the Russian Defense Ministry. He noted that Russian and Israeli officials have maintained regular communications, adding that "operations by Russian military police help ensure the security of Israel." Russia has been President Bashar Assad’s No. 1 backer against rebels seeking to oust him. Moscow’s military intervention in Syria has turned the tide of the war in his favor, helping his forces recapture key areas from the opposition. 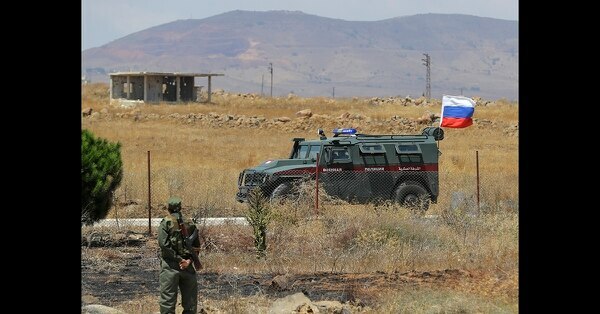 Russian military police have been deploying in all areas recaptured from rebels, including on the edge of the Israeli-occupied Golan Heights, after Syrian government forces regained control of the area last month. Russia’s probably not leaving Syria anytime soon. Here’s why. The Syrian regime wants a long-term Russian military presence in his homeland, not just to help with counter-terrorism operations, but also to provide a balance against other powers. Kuralenko said that the Russian military police have set up four checkpoints on the edge of the demilitarized zone and plan to add another four. "The Russian military police work in close interaction with the U.N.," he said, adding that they have set up a hotline with the United Nations Disengagement Observer Force (UNDOF) and held regular meetings to coordinate their actions. He noted that a top priority for the Russian military police is to help clear mines left by militants. He said Russian forces have inspected the demilitarized zone and adjacent areas to help UNDOF map safe routes. "We are offering all possible assistance to the U.N. mission to allow it to resume its operations in the demilitarized zone in full," Kuralenko said, adding that the Russian military police will be ready to leave once the U.N. mission fully takes charge. Syria's defense minister, Gen. Ali Ayoub, meanwhile met with Maj. Gen. Francis Vib-Sanziri, the commander of the U.N. Disengagement Observer Force, UNDOF, to discuss the situation in the Golan Heights, state news agency SANA said. SANA said the officials discussed coordination between the Syrian government and the U.N. command on the deployment of peacekeepers along the cease-fire line. 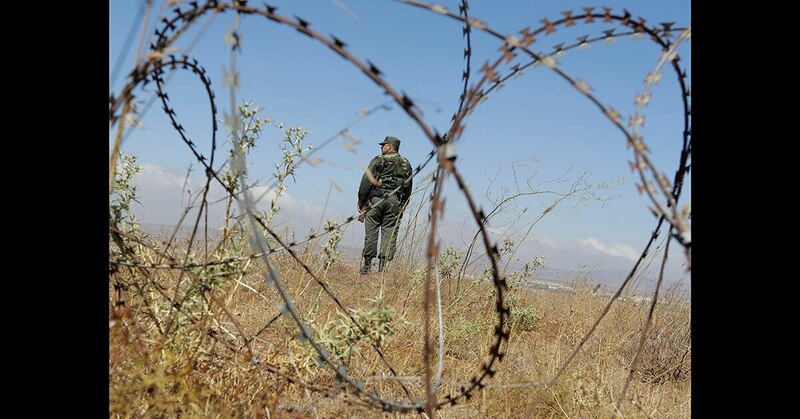 The two sides also discussed an agreement for reopening the Quneitra gate, which would allow Syrians living in the Israeli-occupied part of the Golan Heights to cross into Syria, it said. Syrian regime forces have pushed into rebel territory, violating the de-escalation zone agreement negotiated between the U.S., Russia and Jordan last summer. But the U.S. military will not be stepping in to enforce the failing cease-fire. The U.N. peacekeepers first deployed in the area in 1974 under a deal to separate Syrian and Israeli forces after Israel occupied the Golan Heights in the 1967 war, but they were driven away by al-Qaida-linked militants in 2014. Kuralenko said most U.N. facilities in the area were heavily damaged during fierce fighting between al-Qaida and Syrian government forces. "The main problem is a large number of explosive objects left," he said. "We see our mission not only in clearing mines, but also in training local personnel. We are helping train Syrian military engineers so that they can do the job themselves." By deploying its forces along the Syrian-Israeli frontier, Moscow has sought to assuage Israeli concerns about the Iranian presence in Syria. Who learned more from the strikes in Syria ― America or Russia? Russia didn't engage its S-400 system in Syria, but that was likely by design. Israel has repeatedly said it will not allow Iran, or its proxy Hezbollah militia, to establish a permanent presence in postwar Syria. Moscow, which has played a delicate diplomatic game of maintaining friendly ties with both Israel and Iran, warned that it would be unrealistic to expect Iran to fully withdraw from Syria. But in a bid to accommodate Israel's security interests, Moscow announced two weeks ago that it struck a deal with Tehran to keep its fighters 85 kilometers (53 miles) from the Golan. While Russia and Iran have teamed up in Syria to shore up Assad's government, their interests don't always converge. Iran is loath to surrender any of its hard-won gains in Syria, but it can't afford a falling out with Moscow amid the continuing tensions with the U.S. and Saudi Arabia. Washington's withdrawal from the Iranian nuclear deal has made ties with Russia even more important for Tehran. Associated Press writer Vladimir Isachenkov in Moscow contributed.